Yes, that is the $100M question. 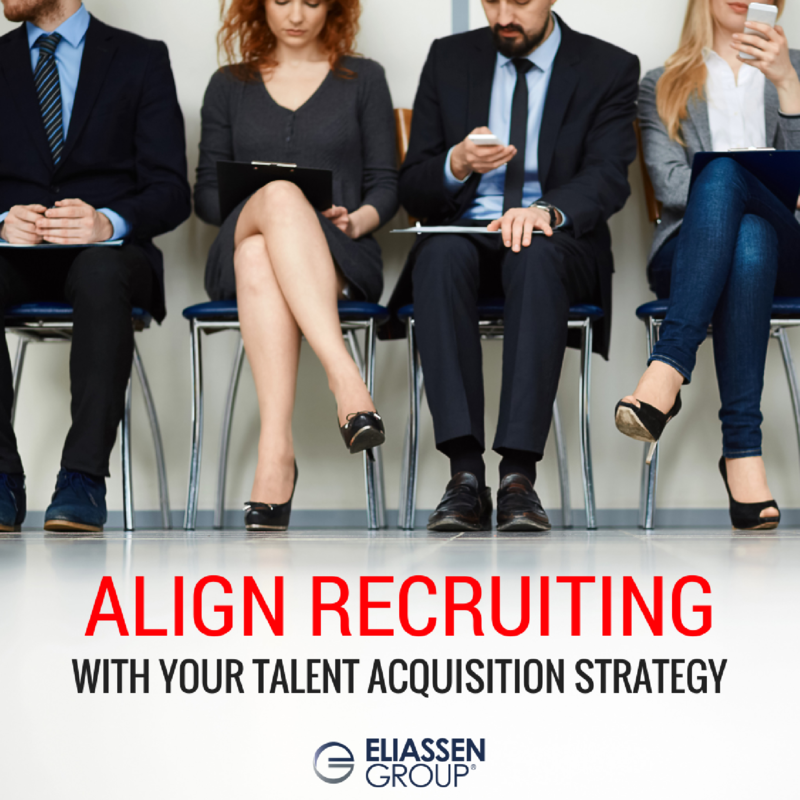 And, at Eliassen Group, we have been helping our clients attract the best talent for more than 27 years. We won’t lie – it has been an adjustment for our clients and an adjustment for us, as well. Why? Because if you keep doing things the same way you’ve always done them, then you’ll always get what you’ve always gotten…which doesn’t include young, talented employees. Just like everything else, we may need to place ourselves in a mild state of discomfort because some of the strategies below do not resemble our typical hiring practices. Focus on the opportunity and what they will get out of it. Millennials want to understand the bigger picture and not just the job. They are looking to be part of something larger than themselves. Why is this role so important to the company and how can they contribute? Think about your tone and language during the interview. Many hiring managers still view interviews as one-way vehicles to evaluate candidates. But these days, candidates are just as interested in evaluating you and your company as you are in evaluating their potential value within your department and company. So, we recommend that you make interviews more personal and use language that makes it very personal. Remember that people don’t buy from companies – they buy from individuals. Millennials don’t go to work for the company; they go to work for a leader. If they feel comfortable and confident about the people with whom they interview, chances are they will feel strongly about coming to work for your company. If they don’t feel that connection, they will likely go somewhere else. When hiring, you want to make the process so painless that candidates really want to work for you. Does your hiring process eliminate frustrations or create them? Do you require job applicants to submit the same information multiple times or have you streamlined for efficiency? These are all questions that you should be asking. Leverage technology for good and not evil. Technology is absolutely fabulous and nowhere is that more true than in the area of recruiting. These days we have all kinds of software applications that make recruiters’ and hiring managers’ lives easier. Many companies have a series of automated services to assist with fielding applications and resumes, portfolios, skills testing, the list continues. But how do these systems interact? Or do they interact? Have you asked the candidate to input their resume 4 different times in 4 different systems? Well, guess what? If this is your process, you’ve already lost the lazy guy we mentioned above who wants to find easier ways to do things. Time is not on your side. Talent is so important to get and if you meet the perfect candidate, you want things to move very quickly. You’ve likely heard the saying, “Time kills all deals.” You will never increase the probability of bringing that talented candidate on board by taking longer. But you can certainly increase the probability of your perfect Millennial going somewhere else by extending the process. So, rather than asking that potential hire to come in once for an interview with HR and the hiring manager, a second time to meet with the Director and then a third time to test their technical skills, try to combine those interviews and make it all happen in one day. While it can be tough from a scheduling perspective, if everyone agrees that hiring talented staff is a priority, it is definitely worth it. In reality, the way that most companies hire does not align with their desired recruiting strategy. So many organizations tend to treat the recruitment process like rushing a fraternity or sorority. When all is said and done, you want to know if the person can do the job and if he/she can fit into the culture. What else should recruiters and hiring managers do to ensure they attract the right talent? We’d love to hear your feedback. Send a note to solutions@eliassen.com and/or visit us on Twitter and LinkedIn.